At a fraction of replacement cost this service provides amazing results and is one of the easiest ways to add value to any home. Paint spray refinishing will have your cabinets looking like the day they came out of the factory. A little paint, a change in hardware and you'll truly feel like you just stepped in to your brand new custom kitchen. 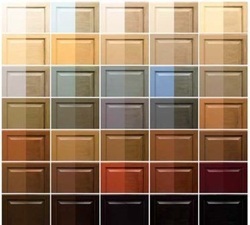 Anyone looking for a drastic, cost effective change in the appearance of their home or project. We ask the homeowner to clean cabinet doors and bases of any visible debris. Once on site we will wash down with a pre prep degreaser, fill any holes required by client, sand down all surfaces and clean free of dust. There will be a light sanding between each coat which consist of 2 primer coats and 2 tinted top coats. Oak and dark colours can be a little challenging and usually require an extra top coat. All cabinet doors are spray painted in the work room. There are two procedures available for the in home cabinet bases for you to choose from. Both methods will take a min of 2 days in home completion. The HVLP paint spraying method using the Agualente Lacquer would consist of building a spray room around the project area, protecting the ceiling , all counter tops, floors, walls and connecting rooms. This process will extend 3 days. Please note: HVLP paint spraying does not produce a large amount of over spray but it will create dust particles which is the reason for the extensive prep work. The in home cabinet bases can also be painted with a foam roller for less set up and intrusion on the space. An experienced paint technician will produce a finish that resembles the HVLP method. This application is more cost effective and requires using Benjamin Moore Advance paint tinted to match the colour and luster finish of the Agualante Lacquer. This process will extend 2 days. If you do not have lot of intricate wood work and the exposed panels are flat then this method is recommended.